Yup, it’s looking far too foggy for the tropics and if you equate fog with cool, then, we must be in hell because it’s smokin’ hot in our part of the world. Our big neighbour will say we should be thankful we smell ash, not sulphur and truly, we feel sorrier for their hapless citizens nearer the forest fires who have to endure PSI levels of 1,000. Too bad the smoke isn’t reaching the mighty ones in their seat of power who’ve been snorting that their long-suffering neighbours should quit complaining. Since we’ve been warned that the smoke screen will linger till late November, let’s put on our happy face and sing a ditty. For our fragile constitutions, we can make sweet soups to stay hydrated and soothe dry throats. Lotus root is believed to strengthen the lungs, white fungus too is good for the lungs and immune system plus the collagen is a beauty aid, red dates are a tonic for the blood and so on. But what’s most important is that these traditional desserts are a taste treat especially on hot, hazy days. 1 Scrape mud off lotus root, brush and rinse thoroughly. Peel and cut into 2cm thick slices. Quarter each slice. Soak in lightly salted water for a few minutes. Rinse well before use. Fill a pot with 5 cups of water and add the cubed lotus root. Cover pot and bring to a boil. Reduce heat to medium, simmer for one hour. Add rock sugar and red dates. Continue to simmer, covered for another 45 minutes or until lotus root is tender. Serve hot, warm or chilled. 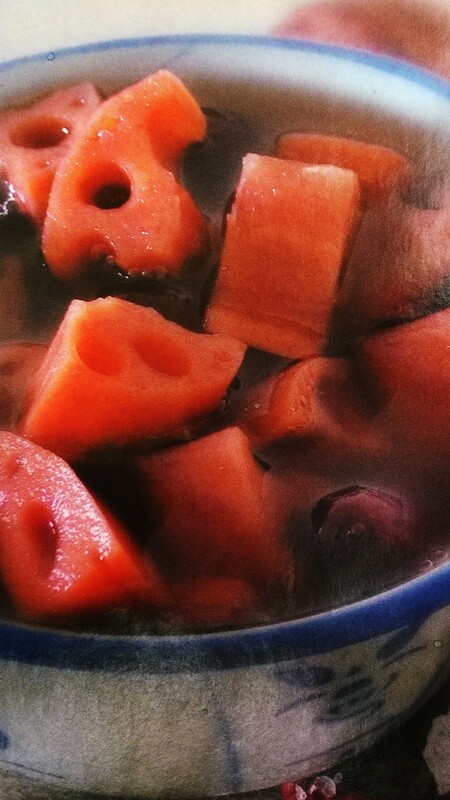 For slow cooker: Transfer lotus root cubes into a medium-sized crock pot once water begins to boil. Leave to cook on high for ½ hour. Add rock sugar and red dates. Reduce heat of crock pot to medium and leave to simmer for 3 hours. Soak dried lily flowers in a bowl of water for at least 2 hours. Rinse before use. Put ginkgo nuts and 8 cups of water in a pot. Cover and bring to a rolling boil. Lower heat, and simmer for 20 minutes. Add soaked lily flowers, lotus seeds and red dates. Cover pot and leave to simmer for another ½ hour. Add rock sugar and longan pulp. Continue to simmer for ½ hour. Serve hot, warm or chilled as a snack or for breakfast. 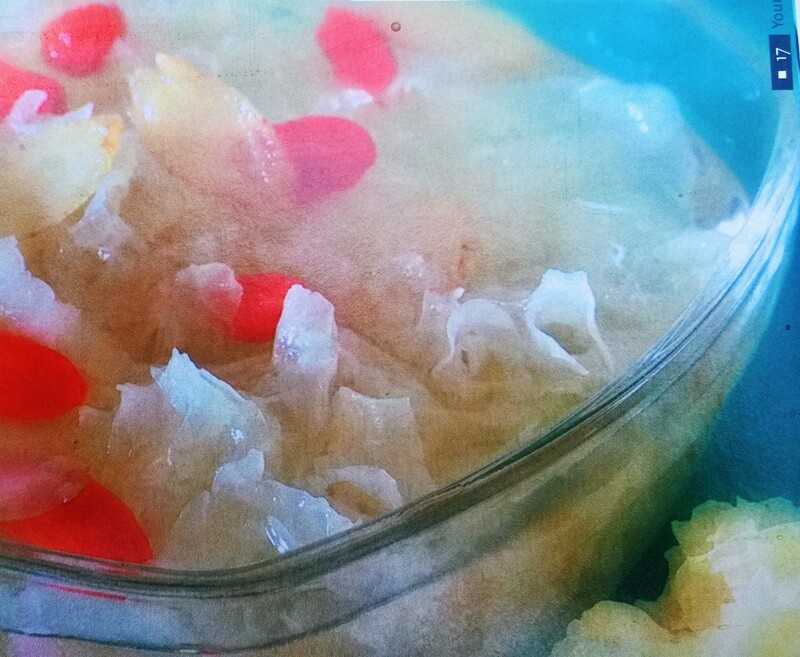 Soak white fungus in warm water for at least 30 minutes or until very puffy. 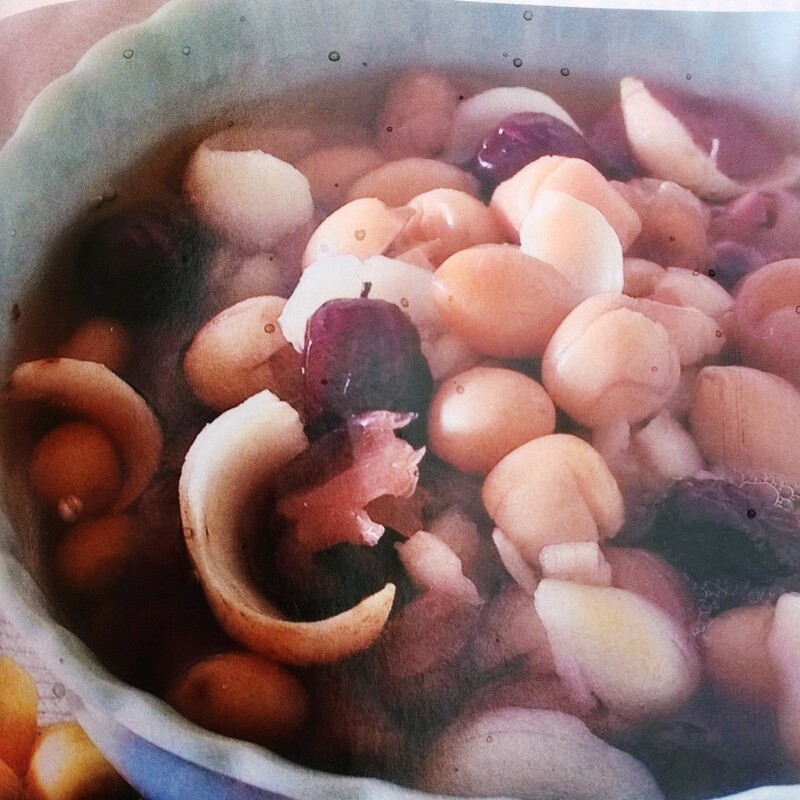 Combine 4 cups of water and softened white fungus in a small tall pot. Cover and bring to a rolling boil. Reduce heat to medium and continue to simmer for 45 minutes. Add rock sugar, ginseng slices and red medlar seeds. Continue to simmer for another ½ hour. Serve hot or chilled. Wash pandan leaves and knot. Wash and strain multi-grains like washing rice. Soak in 2 cups of water for ½ hour to reduce cooking time – don’t throw out the water. Put in a pot the knotted pandan leaves, multi-grains with the soaking water and another 5 cups of water. Cover and bring to a boil. Lower heat and leave to simmer for ½ hour. Add rock sugar, red dates and longan pulp. Cover pot and continue to simmer for 30 minutes. Serve hot or chilled.